Not that long ago gum bichromate, print-out paper, platinum, palladium, cyanotype, kallitype, carbo, albumen, and many other monochromatic mediums were available to the photographer. Today only silver gelatin is easily available. One needs only to experience the color of an Atget albumen, the depth of an Evans platinum, the feeling of night in Steichen's cyanotype "Flat Iron Building", or the warm purple glow of a Linda Connor's POP print to realize that these images would not be as effective on a modern RC silver gelatin paper! My tutorials introduce you to a number of alternative processes, and present my low-tech approach to alternative process and the "zone system". It is my belief that the vast majority of failures in alt process are due to using "incorrect" negatives. I will give you a ballpark starting point for platinum, gum and cyanotype, allowing you to "try them out". I will also explain how to measure and fine-tune these alt processes for your own style and working methods. "Alternative Process Photography" is a surprisingly undefined phrase. Here we will use it to mean photographic printing processes not commonly available ready made. My series of photography tutorials will deal primarily with three historic photographic processes, Cyanotype, Platinum (palladium), and Gum Bichromate. The knowledge and basic principals presented in my tutorials are easily applied to other alternative processes (Salt Prints, Van Dykes, Albumens, etc). 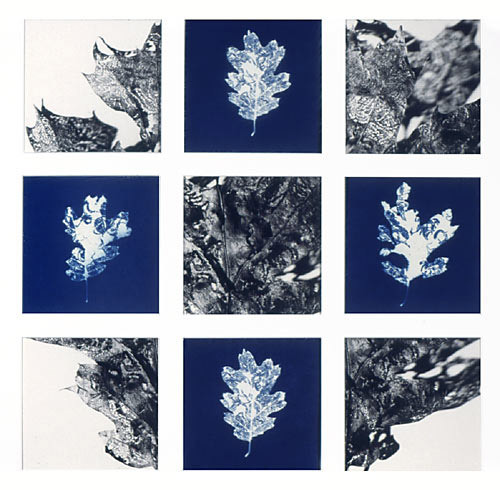 Cyanotype is a moderate definition "blue and white" iron based alternative process system that can be coated on a wide variety of papers and other base materials. Platinum and Palladium are a classic high definition warm toned black and white system that needs to be printed on high quality selected papers. Prior to 1920 many photographs were printed in platinum. Gum Bichromate is a moderate to low definition watercolor paint based system that allows almost any color (or mix of colors). Definition can be varied from reasonably sharp to painterly abstract by the number of coats, surface texture and registration. It is printed on a wide variety of papers (although many papers will need pre-treatment). 1) Mismatched negatives. You must know how to match a negative and its development to a process. Without this knowledge, getting a good print is a "crap shoot" regardless of how well you follow printing instructions. 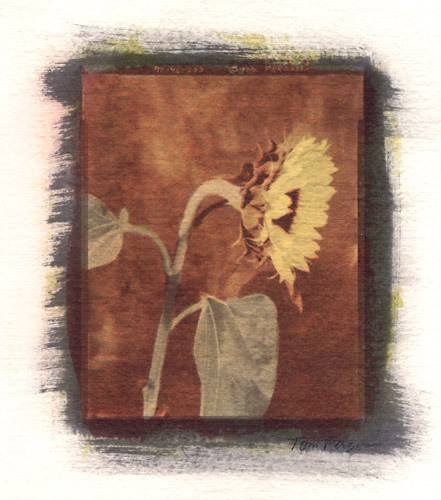 3) Most alternative processes can produce wonderful prints by a number of different methods. This has been know to cause confusion and arguments amongst the "experts". It is easy for a beginner to become so confused by the slight difference in techniques, that they never get past the confusion and actually print. 3) There is far too much misinformation floating around. Not just variations, as discussed above, but truly incorrect information. I assume that people have only read or "heard" the incorrect information (not actually tried it! ), and then pass it on to others as "gospel truths". These tutorials started as a photography magazine article, became a class I taught at Learning Tree University for many years, then morphed into an unfinished book! As presented here the tutorials work on two paths simultaneously. The "fun" tutorials path will get you printing in cyanotype. platinum, and gum as fast as possible. The "technical" tutorials path will introduce a simplified zone system for alternative process work. This will allow you to create negatives that will print easily with a variety of alt processes. The technical tutorials path includes determining a personal film speed, methods for measuring negatives, determining a personal film development time, determining a personal print exposure time, and altering film development for creative control. I realize that may sound like a lot of "technical". Unfortunately modern film and developers are not aimed at the alt process photographer. If you use them as suggested by the manufacturers, your results will be poor and inconsistent. It is my hope that after testing, you will have a simple consistent working method. Once these methods are known and proven you can once again concentrate on the artistic, without the "will it come out" concerns that so often cloud our artistic endeavors. I hope my series of alternative photography process tutorials will both help you avoid these problems and encourage you to explore this wonderful art form. Click the "next" link below for the first lesson and we will look at how light, film, development, and alternative process relate. Some websites and resources I think you will enjoy. Not listed in any particular order. Alternative Photo Email List: A great resource with members from across the globe. 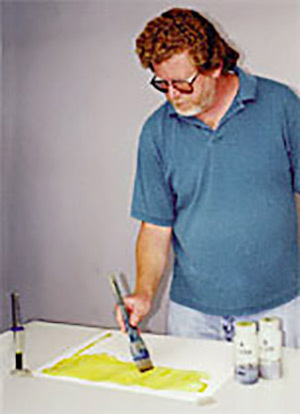 Topics include the processes included here, platinum, cyanotype and gum. Lively discussions and LOTS of volume. Set up a separate email folder or you may "lose" your personal email in the flood! You should read the archives to see if you are interested (read) then sign up by using the instructions on their page ( sign up). Wonderful platinum and wet plate images, also his workshop info. Platinum and silver images, a good info section. One of the best gum printers working today. She is also an expert at mortancage prints. Van Dyke, cyanotypes, and Polaroids. One of the platinum masters, info on his digital negative book (highly recommended). Another platinum master. I consider his book to be the best platinum printing manual available. This and "Bostick and Sullivan" were my biggest aids in learning platinum printing. 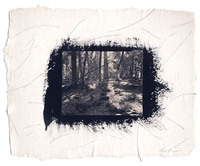 Showcases the work of many photographers in cyanotype, gum and many other alt processes. One of my favorite photographers, incredible POP prints. Kallitype, cyanotype, and self portraits. The leading supplier of platinum, gum and cyanotype supplies and other alt chemicals. I consider these folks and their "help line" one of my primary alt process learning sources. A great supplier of ultra-large film and large format camera gear. One of the best general photography stores and mail order houses. Great help and advice. Chemical supplies for most alt process including platinum, cyanotype and gum. Some alt articles, but primarily large format camera info. All you need to know about photography without a lens! A scientist involved in alt photography. Includes info on the "new cyanotype" as well as argyrotype and platinum. Builds wonderful custom contact frames in a wide variety of sizes. He also repairs other printing frames.